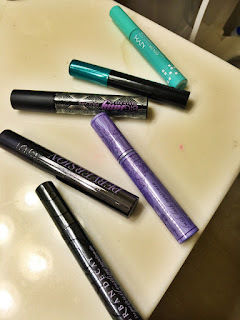 I tried every mascara UD has to offer (and even a couple they don't anymore) and threw in a NYX at the end there too for good measure. 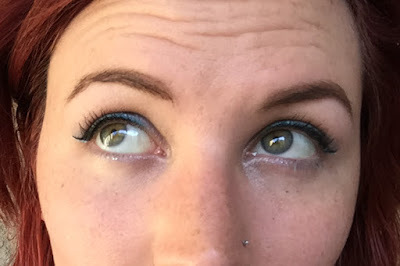 I actually love this mascara and it's become my go-to for several reasons: it's not very dramatic so easy for everyday, it glides on better than most, you don't have to work to coat every lash (which is great during the morning rush), it doesn't irritate my eyes even without primer, and it doesn't even flake off very easily or smudge. It definitely gives a nice boost to any makeup look and it's by far my most needed mascara. If I could only have one mascara, this would be it. So tons of people at work swear by Big Fatty. Like totally devoted. 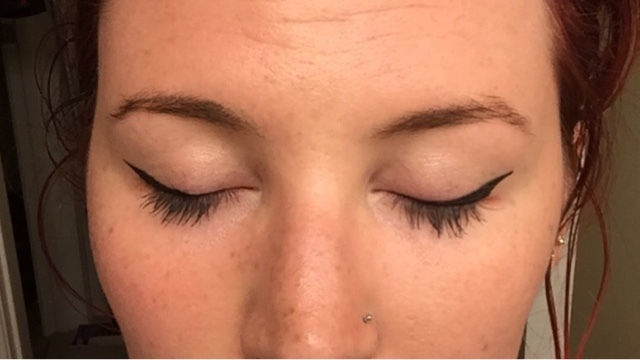 I guess my lashers do look nice and thick, like a little more than the usual, and they're really fanned out, but they're def not as long as a lot of other options so don't show up with my eyes open and eyeliner on as well as other mascaras also. Another thing I don't love is that this mascara feels super heavy upon putting it on and really irritated my eyes for a long time until it was totally dry. So in this case, if you don't have sensitive eyes, and are looking for a thickening mascara, this is actually a really great option. The applicator on this wand is really pretty interesting though, it's basically a uniform cylindrical shape, pretty thick and long, with very short spikes to catch the lashes. I found this to make it a little more difficult to get the little hairs in the inner and outer corners. Also, I felt like despite the fanning that occurred, it was a little harder to get a uniform amount of product on each lash. So overall it's not one of my favorites ever, but it does look nice, probably just a little more caters to certain preference as opposed to an all around product. 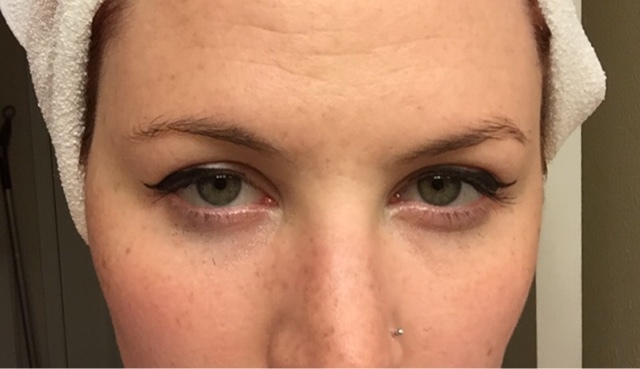 Ok this is definitely a super easy, wear any day kind of mascara. The wand has a nicely curved applicator with different lengthed rubber spikes to really catch each lash and deposit some color on. It grabs the lashes so well even, this is a good mascara when in a rush cuz I didn't even feel like I needed to comb them through when I was done. Omg, losing a step in the makeup routine?? Crazy. So if I were to compare this directly to any mascara, it would be Benefit's Roller Lash, as that's another self-proclaimed curling mascara. They have very similar attributes and applicators, but they have the edge over the other in different ways. Supercurl really doesn't bother me the whole day- I really forgot I had mascara on and it was super lightweight, more so than Roller Lash. Where Roller Lash wins though, is definitely on length- my lashes definitely looked longer than with Supercurl. But there are photos on here for both, so you be the judge of which is better. I love using waterproof mascaras for several reasons, but mostly cuz my eyes water like all the time, and my skin gets sweaty in summer and working out so its a lot easier to kee things looking good when waterproof. Cannonball is UD's only waterproof option (though I really hope there's a w/p Perversion in our future) and it really is a solid option at that. For being a waterproof mascara as its claim to fame, I feel like it does a really good job of really fanning out the lashes. The wand's applicator isn't my favorite, but it is a little interesting, as it's the classic bristle type brush, just with very short bristles to create a thin straight applicator. The only negative to this mascara is how it smudges underneath my eyes a little bit. The pic above is post shower so I could see just how waterproof it is, and it def flaked off a little bit. I will say it definitely doesn't show up with eye makeup as much as some of the others on this list, but I like how light it feels, and is non-irritating even without Subversion on underneath. 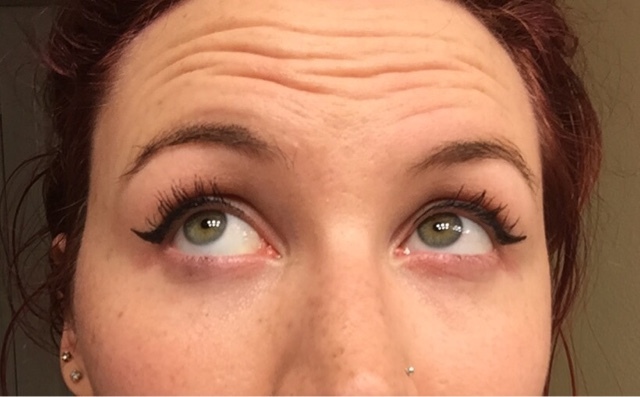 So UD doesn't carry Lush Lash anymore, but i know other countries still do, and it's kind of a nice mascara. 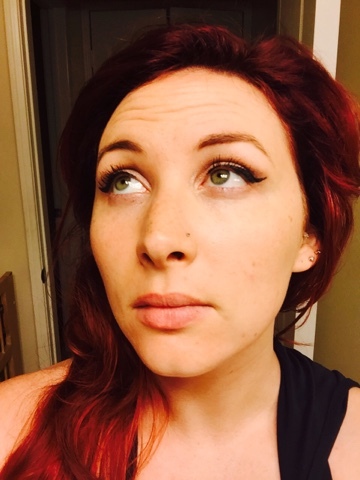 it fans the lashes out really well and has good staying power, and i have coworkers who absolutely love it. It's just not my favorite. The applicator is nice, just the way i like it with the spiky rubber bristles, and it goes on really easy, but even though it's super light, it tends to get a little brittle and feels stiff imo. But look how long those lashes look! so this is another instance of having your own preferences. 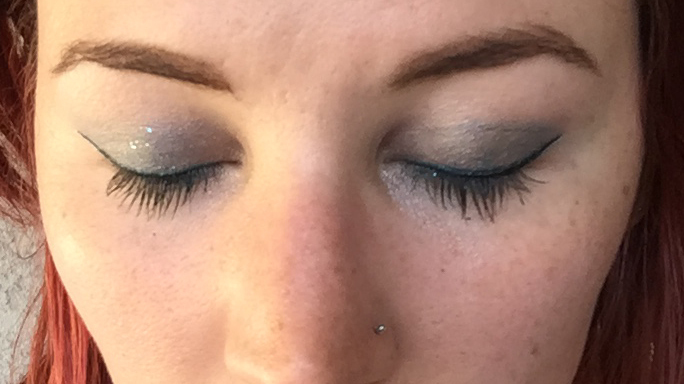 On the bottom lashes in the pic above, I have NYX Color Mascara in Mint Julep from Ulta. 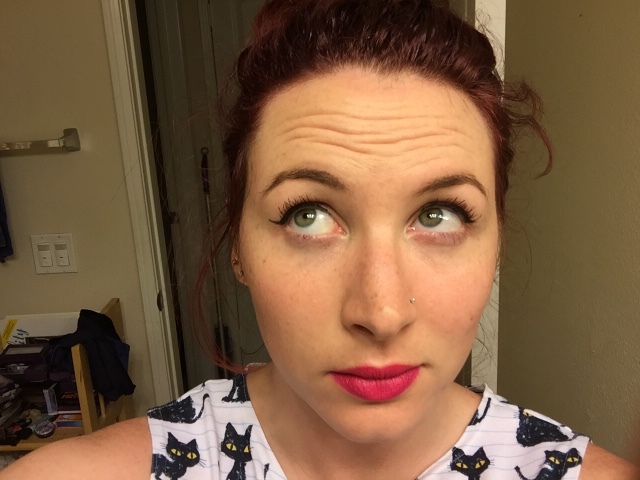 This is kind of a super fun mascara. 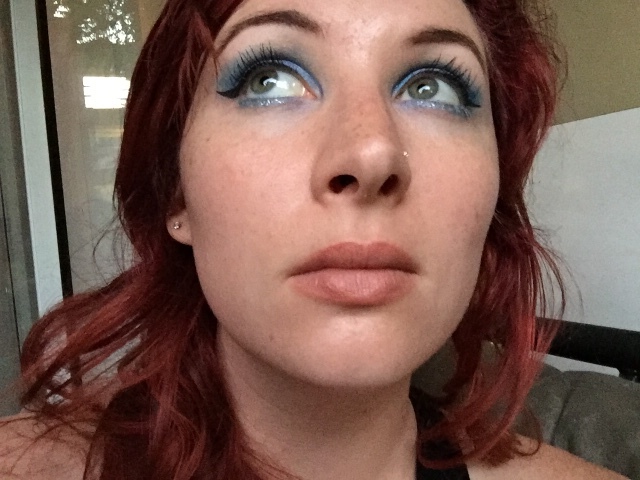 I do a lot of bluey-green looks, and this mascara gives just a little pop of fun, it makes me kind of want all the colors they offer. 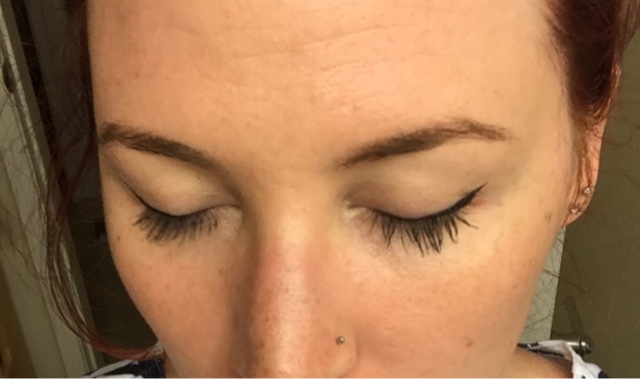 the applicator is really easy to use on bottom lashes too, as it's a teeny tiny skinny wand that easily hits all those little baby lashes without too much trouble. plus it doesn't bug my eyes, which is another plus entirely.